Enjoy live music, clogging, cane grinding, syrup making, wagon rides, and a wide variety of food and arts and crafts. We even have a special area for the kids with pony rides and a petting zoo! You know what time of year it is!! 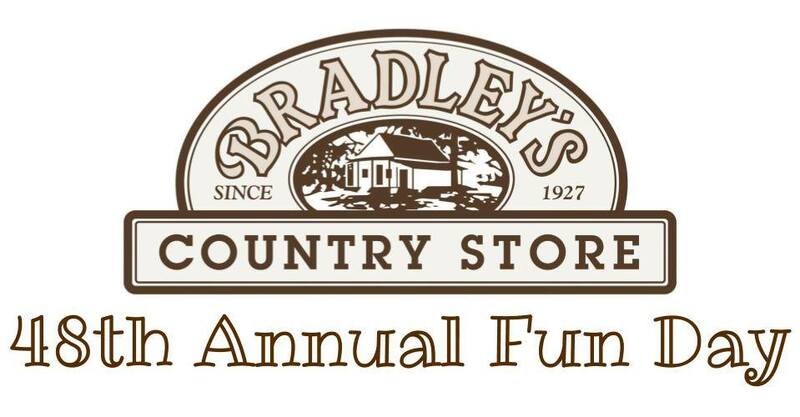 Bradley's Country Store's 48th Annual Fun Day will be held on Saturday, November 17th, from 10am to 4pm. Our entertainment this year features the always delightful and energetic Mountain Dew Cloggers along with the lively tunes of the Allie Cats Band! We'll have lots of fun for the kids in our children's area and, as always, an abundance of arts and crafts for your holiday shopping! Grab a tasty sample of fresh ground cane juice and take a wagon ride around Bradley Pond. Be sure to take home some homemade cane syrup, and of course plenty of sausage to go with it! As always, admission and parking are free.